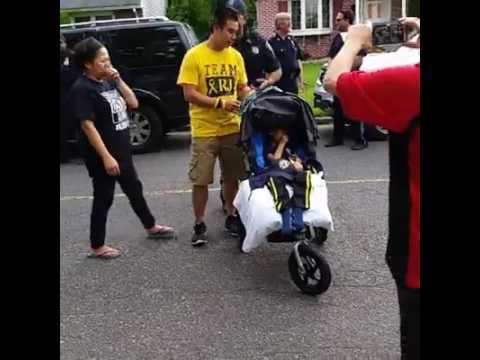 One by one, a parade of police cars from a host of area law enforcement agencies passed through an otherwise quiet Bergenfield neighborhood Thursday morning -- lights flashing - - granting a dying 5-year-old boy's wish. A beloved 5-year-old girl rescued from a ferocious Little Ferry blaze Tuesday night and her grandmother both died on Wednesday. Anyone with an emergency in Bergen County will be able to text 911 under a new countywide system, County Executive Jim Tedesco announced Thursday. Funeral arrangements have been set for former Don Bosco and University of Louisville football player Brian Roche, 29, of Bogota. Bergen County pet rescue organizations are seeking donations for several Louisiana shelters in need of emergency evacuations due to recent flooding.